I am Raghav and I come from the southern Indian city of Chennai. I currently work as a Senior Engineer in a multi-national oil and gas company in Singapore. Cricket has always been my biggest hobby since childhood, and I started learning to play the game since I was 6 years old. My interest in the game stemmed from watching both my father and brother play for their respective teams. I currently lead a division 2 cricket team in the Singapore cricket league. I have also always had a keen interest in cricket umpiring and so, started learning all the laws and playing conditions of the different forms of the game. It amazes me as to how a game that looks so uncomplicated from the outside has quite an extensive framework of rules and laws. My first competitive game as an umpire was in 2008 in the Singapore cricket league, and since then, I have gone on to become first an emerging panel umpire and now belong to the elite panel of cricket umpires in Singapore. I am also a certified Asian cricket council level 1 umpire. 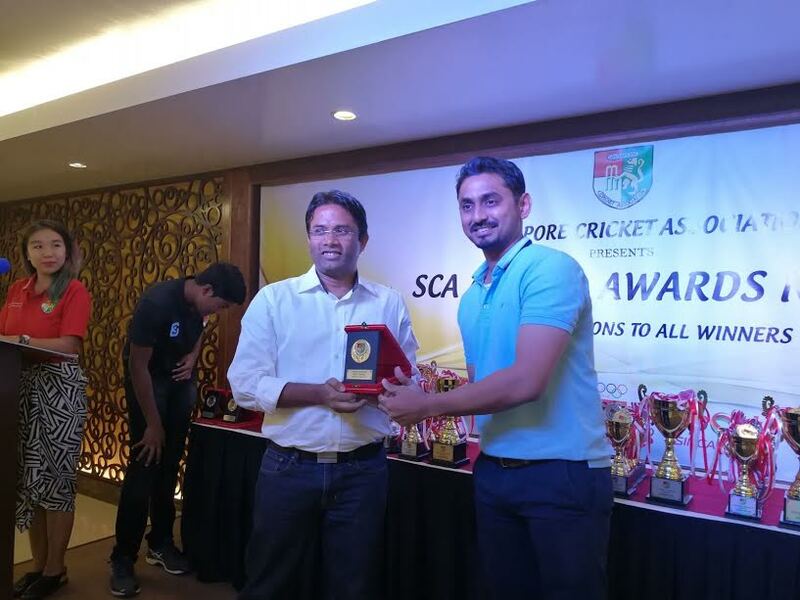 I recently received the best umpire award in Singapore, presented by the Singapore cricket association. This award is given to the umpire that performed the best in the previous year, and this is determined by a lot of factors including the feedback provided from the various team captains and fellow umpires in the officials committee. Getting this award has motivated me to perform even better and improve myself further as a match official. It is always said that an umpire has the best seat in the ground to watch the game. So, I am determined to keep growing and reach the pinnacle of becoming an international ICC cricket umpire very soon. Sh. 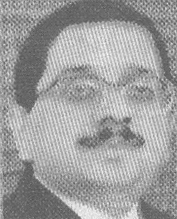 Deepesh Joshi - Leading Advocate and Founder - Deepesh Joshi & Associates, Law Firm. MetroMirror: Why have you chosen the career of Advocate? What other Profession you would have adopted if not advocate ? Deepesh Joshi: Actually when I was not selected for MCA I had done LL.B and started practising. I am happy being a successful Advocate and enjoy my profession. I would have been an Architect if not the Advocate as I am a creative person. MetroMirror: What have been your major achievements as an Advocate? Deepesh Joshi: We have best of the clients, including the Chief Minister of MP. , our some of the major clients are; Coal India, almost all the Doctors, Builders like Aakrati and Chinar group, Reliable group, MPRDC, Jagran Group, Indian Oil Corporation and Bureaucrats like Arvind Joshi and DK Kapoor. Our specialization includes civil, criminal, corporate Laws, Prevention of corruption Act, consumer Protection, Arbitration. MetroMirror: What are your ambitions relating to your Law firm? Do you follow any Role Model of your Profession? Who? Deepesh Joshi: Mukul Rohatgi, Vivek Tankha, Fali Nariman to name a few, our ambition is to be the No.1 Law firm of Madhya Pradesh. MetroMirror: Why the image of Advocate presently is not as good as it used to be 30 - 40 years back? What are your suggestions to the whole Advocate community for improvement of image? Deepesh Joshi: Earlier under the Barrister system the Law education had very good quality. Now National Law Institute University Graduates are very good and they will increase the image of the profession. Advocates should be faithful, well - read, loyal to the client, they should not befool. There should be complete transparency to increase the image of the Profession. Apex Investigation agency of India ,NIA (National Investigation agency) appointed shree Ajay Gupta, Deepesh Joshi and Sashank Shekhar as their Special Prosecutors in the State . Home Ministry has issued a list of 31 leading advocates to be appointed as the Special Prosecutors of NIA . MetroMirror: Would you like to provide free Legal support and consultancy to the poor sections of the society? Deepesh Joshi: We provide full support to the poor. We have helped more than 1000 without any fee. Our social commitment is regular. MetroMirror: Could you consider a Scholarship for 2 Brilliant Law atudents of Bhopal | MP? Deepesh Joshi: Yes we could consider, please send us details about the students. MetroMirror: What are your Hobbies and Interests which you regularly do? 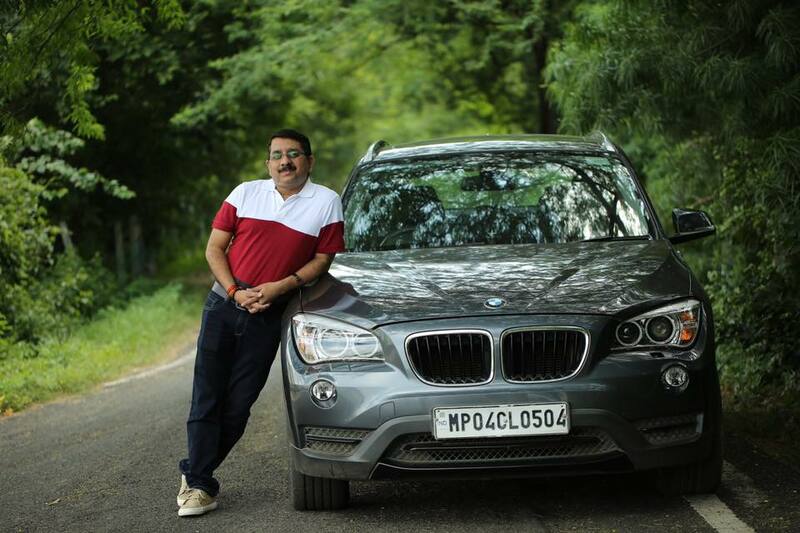 Deepesh Joshi: My all time favourite is cooking, all types of dishes, Music, Cricket, Badminton and Table-Tennis. MetroMirror: What are your expectations from Media? Deepesh Joshi: Media should properly report the Law cases, Judicial system and working of the court. MetroMirror: Tell me about your family? 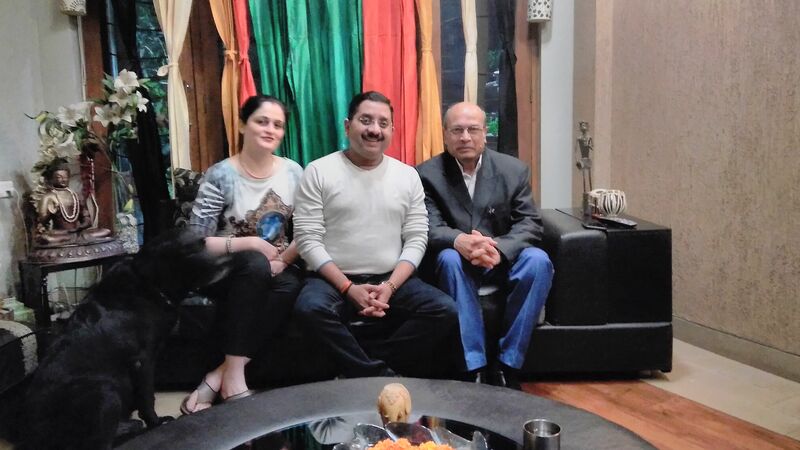 Deepesh Joshi: My father is retired District Judge. My wife Viva is running a school Aayam for the poor disabled people as a commitment to the Society. My son Atharva is a class 12th student and he would like to be a Lawyer also. MetroMirror: Your suggestions | opinion about MetroMirror.com? Deepesh Joshi: It's a good publication worth reading with wide range of News, features and special stories. MetroMirror.com to Mrs. Viva Joshi: What are you doing? How do you serve the society? Viva Joshi: I have started a school in the Name of Aayam with the object of creating equal opportunities for the Physically and Mentally challenged students who cannot afford hefty fees. We have students from 1.5 years to 52 years of age. We need support from the various people for skill development of our school students. MetroMirror: What support do you want from the government of MP? Viva Joshi: We don't have school building of our own, it would be better if govt. provide us suitable land or building to properly run the school to develop the skills of the students to help them stand on their feet. MetroMirror: What are your Hobbies? Viva Joshi: My main hobby is painting and have good collection of paintings. 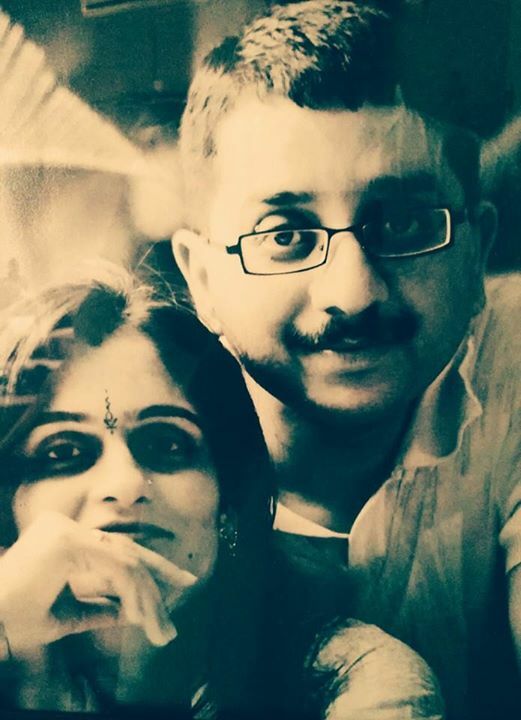 Dr. Pallavi Tiwari, D/O. Sh. 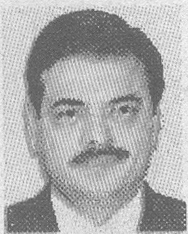 Suresh Tiwari, Executive Director(Retd.) from MP Public Relations is proud of India and proud of MadhyaPradesh. Pallavi graduated from SGSITS Indore, and went to USA to do research on Cancer. 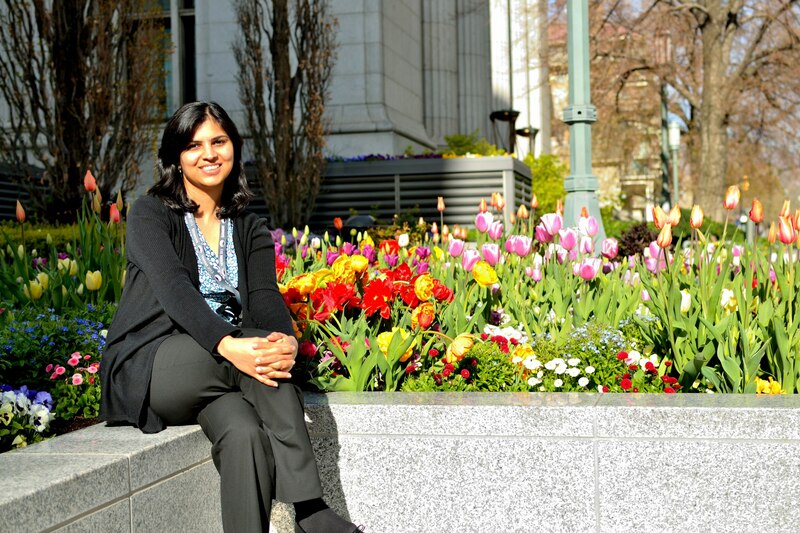 Congratulations to the >#>100Women> – including Dr. Pallavi Tiwari! Dr. Pallavi Tiwari, an Indian research professor based at the Department of Biomedical Engineering at Case Western Reserve University in Cleveland, Ohio, USA, has been named one of the #100Women in India who are making a difference in their communities across the country. #100Women is a joint campaign of Facebook and the Ministry of Women and Child Development of India, and we found many Indians with ties to the U.S. on the list. Today we're highlighting Dr. Tiwari, who first studied in Indore before earning her master's and PhD from Rutgers University in the U.S. Her research focuses on brain cancer, and she recently developed a new MRI-based technique to help provide individualized treatment for brain tumors. 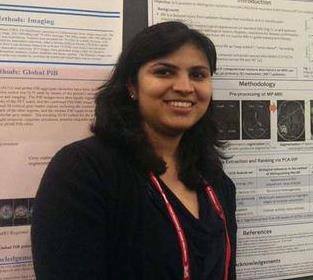 Washington, Dec 24 (PTI) An Indian scientist in the US has developed a new MRI-based technique to predict survival of patients with aggressive brain tumours and help them provide personalised therapy. "With Obama administration’s push for personalised therapy, a pressing need in precision medicine is to identify patients with GBM who are suitable for specific clinical trials based on their tumour characterisation, instead of a 'one-size-fits-all' treatment," a media release said. She is currently a research assistant professor in Biomedical Engineering and since 2012 has been working in early diagnosis, prognosis, and treatment evaluation of brain tumours. A. 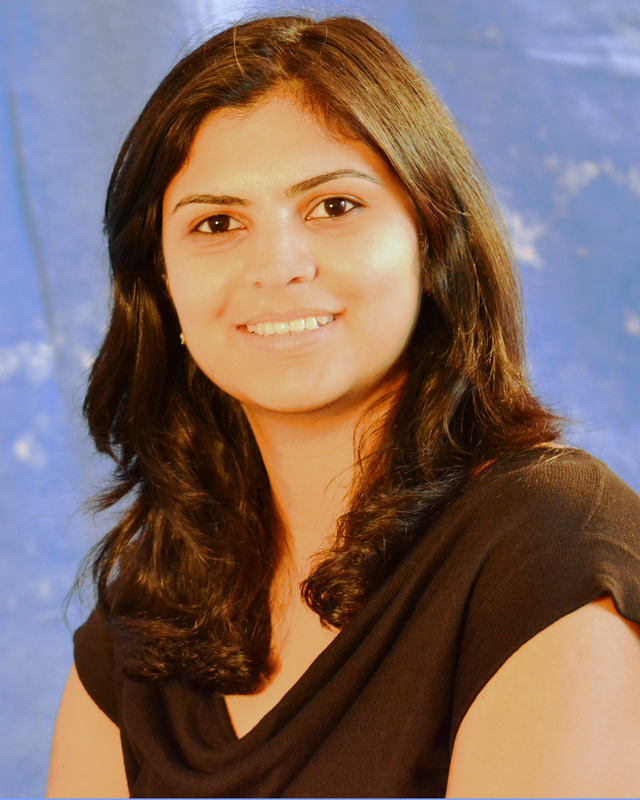 Brief Introduction: Dr. Pallavi Tiwari (Age: 31 years) is a leading cancer researcher working at Case Western Reserve University (CWRU) and University Hospitals in Cleveland, United States. Over the last 9 years since she graduated with a Bachelor of Engineering degree (honors) from S.G.S.I.T.S Indore (India) in 2006, she has developed novel computerizedsolutions for early and reliable diagnosis and prognosis of cancers including prostate, breast, brain cancers, and neurological diseases including epilepsy, and cancer pain. Her research has so far evolved into 21 peer-reviewed international journal and conference papers, 18 peer-reviewed abstracts, 1 issued US patent, 1 patent application, and has so far received over $400,000 USD of funding for her cancer research. Dr. Tiwari has presented her work at several leadinginternational conferences such as Medical Image Computing and Computer Assisted Intervention Society (MICCAI), Society for Photonics and Instrumentation Engineering (SPIE), IEEE International Symposium on Biomedical Imaging (ISBI), International Society of Magnetic Resonance in Medicine (ISMRM), and Society of Neuro-oncology (SNO). Additionally, she has been a recipient of Coulter Translational awards for 3 consecutive years from 2013 to 2015,to build a sustainable technology for early identification of brain tumors. She has twice been nominated for National Institute of Health (NIH) Director’s early independence award. Dr. Tiwari was a key member of the graduate student team selected as one of the top 10 teams for the IDEA translational award. She is currently leading a team of clinical and scientific researchers on evaluating effects of radiotherapy and laser interstitial thermal therapy on brain tumor patients via multi-parametric MRI. She is building newcomputationaltechniques on MRI for predicting patient outcome in cancer patients. These tools will ultimately pave the way for targeted treatment regimens, and early identification of tumor, while reducing unnecessary surgical interventions in cancer patients. Dr. Tiwari has been mentoring over 10 undergraduate and graduate students in performing cutting-edge cancer research. She is a major proponent of women in science and technology and has been involved with several organizations promoting women in science and engineering. >	Finalist - Top 10 entrepreneurial ideas in BME Innovation, Design and Entrepreneurship Design Competition (IDEA), 2008. >	Work featured on Case Western’s engineering website:“Case-Coulter Translational Research Partnership awards $1 million in funding and support for promising biomedical engineering university technologies”. -	Case Comprehensive Cancer Center News Letter, November 10th, 2014. -	The Daily, November 13th, 2014. >	Paper “Multi-Kernel Graph Embedding for Detection, Gleason Grading of Prostate Cancer via MRI/MRS” featured as number 2 article on medical and healthcare blog MDLinx (http://www.mdlinx.com), Dec 2012. >	Featured in Rutgers Focus, July 2010 for representing Rutgers University at CRA-W workshop, organized for Women in Computing, Seattle, WA. Siddharth is currently working as Manager-Training with IndusInd Bank at Chennai. He has been with IndusInd Bank since 2010 and prior to that he was with RBS (previously ABN Amro) in the Trade Finance Division for more than 5 years. 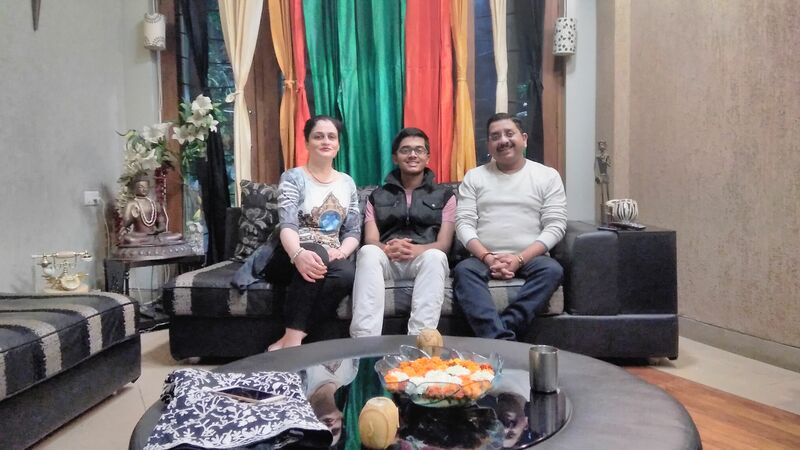 Siddharth is a person with Cerebral Palsy, post a jaundice attack when he was few days old which significantly impacted his body movement and speech clarity. This has consequential impact on his ability to write and general reaction time. Having said the above, Siddharth has never let this condition as an impediment to his achievements and goals. While he went to a “special school” earlier, but soon got into the main stream and since then leads a life in a society which make things extremely difficult and challenging for him. From an academic point of view, after passing out from a regular school he completed his graduation in Commerce and went on to do his masters in Economics with great scores. Professionally, he is a Certified Documentary Credit Specialist and has been awarded multiple certificates in the domain of Trade Finance, KYC (Know Your Customer) norms and Anti Money Laundering. One of his key association is with ex-President of India, Dr.APJ Abdul Kalam who has quoted him in various forums and they share a relationship of mutual admiration. Given his work he has been very well known in the media circles. On personal front he lives in Chennai with his parents, wife and his son. Adding one more feather to his cap, Mr. Swayam Soni, Director Real Estate & Sugar Sector, Aakriti Group received prestigious “Captains of the Industry Award” from Shivraj Singh Chouhan, Chief Minister of Madhya Pradesh. This was a proud moment for Mr. Swayam, who initially started as a management trainee in Real Estate and Sugar Companies, with an excellent academic record to his credit and was later inducted as one of the “Board of Directors” of the Aakriti Group of Companies, because of his exceptional managerial skills and professional acumen. 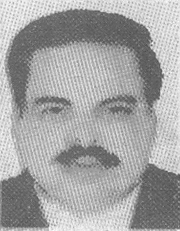 He is presently looking after project planning and marketing of the Real Estate business and also the operations of Sugar industry. With his youthfulness he is being able to introduce freshness in the vision and mission of the company. In the post award ceremony, he highlighted his current ventures and conveyed that our prime focus is to provide the most-modern services with respect to the real estate ventures, to provide happiness and comfort. Planning and executing a scheme is only a prior step towards converting a dream into reality, but accepting of the target person is ultimate step. 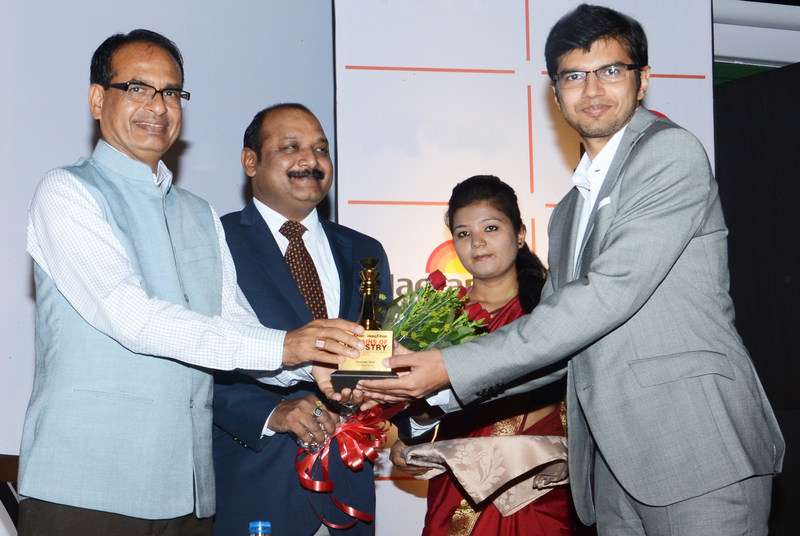 This favorable reception signifies that Aakriti group is being admired by everyone. Before Mr. Swayam Soni, Mr. Hemant Kumar, CMD and Ms. Anshul Soni, Aakriti Group were also awarded “Captains of the Industry Award” earlier in the previous years, which speak the success saga of the group in the recent times. Early in the morning on Wednesday, despite recuperating from an eye surgery, NR Narayana Murthy took the unusual step of writing to the editors of major newspapers and TV channels. 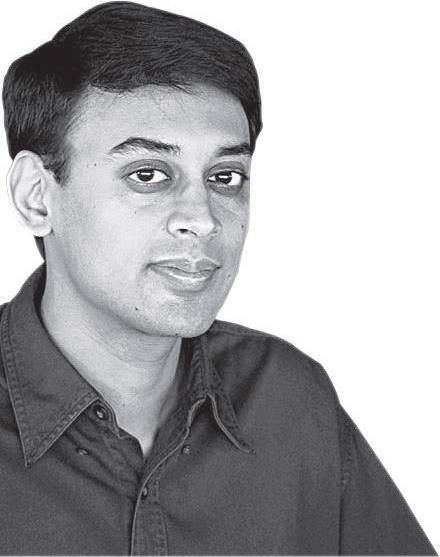 Murthy was excited about a young mathematician he had known, Manjul Bhargava of Princeton University, who had won the Fields Medal for mathematics on Tuesday. His aim was to sensitise editors to the importance of this event, and to tell young Indians what to strive for. “A Fields Medal is harder to get than a Nobel Prize,” Murthy told later. “We knew he was extraordinary.” Bhargava is the first Indian-origin mathematician to get the prize. He is not always known through his Indian origins, and is often called a Canadian-American mathematician. But although Bhargava did not grow up in India, his Indian roots are deep. He learned tabla with Zakir Hussain and is an accomplished player.